A beating heart frozen in time in an image by an Oxford University researcher has won a competition run by charity the British Heart Foundation (BHF). 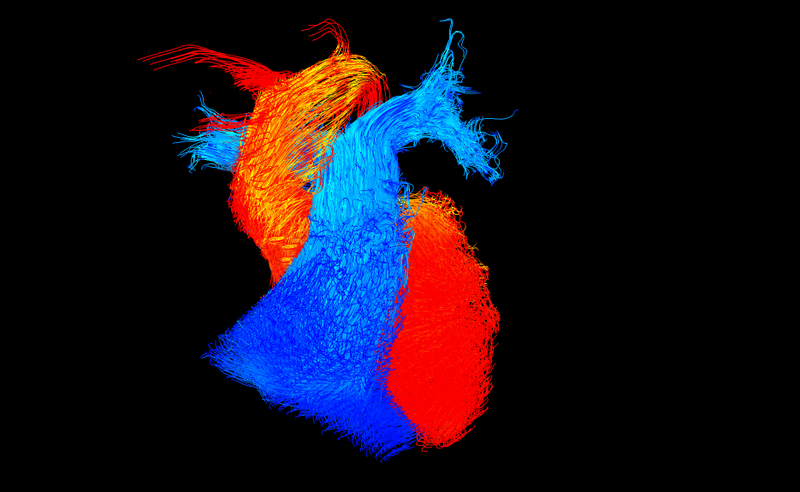 BHF today announced the winners of its annual 'Reflections of Research' image competition – reflecting the charity's ground-breaking research into heart and circulatory diseases. Science relies increasingly on ever more sophisticated imaging techniques to help us to see the cellular and molecular processes that conspire to create disease. There are an estimated 7 million people living with heart and circulatory disease in the UK. It kills around 155,000 people each year in the UK; that’s more than a quarter of all deaths. The BHF currently funds £70 million of research into heart and circulatory diseases at the University of Oxford. That funding is made possible by the generosity of people across the UK. 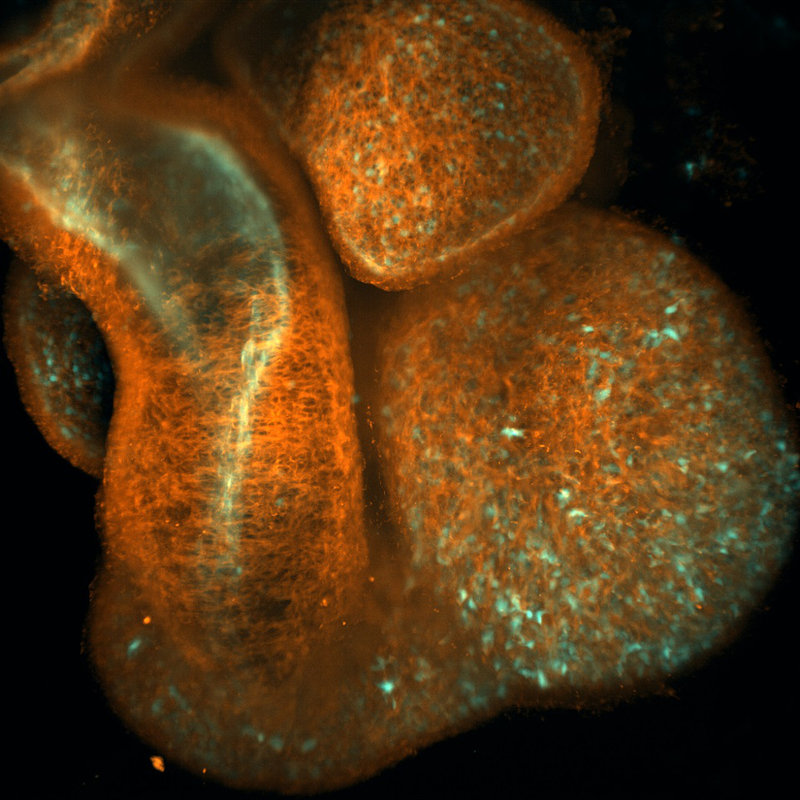 The winning image, title Go with the flow, was by Dr Victoria Stoll, a BHF-funded researcher at the University of Oxford. It captures the blood flowing within an adult heart frozen in time. Blood flows within the main pumping chambers – the ventricles – of the heart and the vessels leaving the heart. The blue flow is blood that lacks oxygen and is travelling to the lungs. The red flow is blood that has been through the lungs and received oxygen and is now ready to be pumped around the body. Dr Stoll is using this type of imaging to look at the blood flow in four dimensions within the hearts of people with heart failure, whose hearts are not pumping effectively. She has already found that in people with severe heart failure the blood flows around the heart in a more disordered and disrupted pattern. A second image, by Dr Antonio Miranda in the Department of Physiology, Anatomy and Genetics, was shortlisted. It shows a whole embryonic mouse heart at 13 days after fertilisation. The filaments of the heart muscle are shown in orange and the cells that line the interior of the heart and the blood vessels are in cyan. Antonio is studying the development of embryonic mouse hearts in order to understand how congenital heart defects occur. The image was taken using a light sheet microscope, which allows Antonio to take 3D images of the heart from different angles. Professor Peter Weissberg, Medical Director at the BHF and one of this year's judges, said: 'Science relies increasingly on ever more sophisticated imaging techniques to help us to see the cellular and molecular processes that conspire to create disease.